Lakeside Family Dental Care offers a variety of family dental services to help you achieve oral health, confidence, and a normal lifestyle. Our preventive procedures can prevent small problems from becoming big ones and our cosmetic procedures can improve your smile's appearance. Preventive maintenance is the ideal way to maintain good oral health. preventive maintenance consists mainly of regular cleanings and exams. This is important to help prevent tooth decay and gum disease. preventive maintenance can also detect these problems in the early stages before they become worse. When you visit your dentist, it is usually to have a routine cleaning and exam. During this procedure, your hygienist will clean and floss your teeth to remove plaque and food particles. They will also remove any tartar buildup on your teeth. Then, the hygienist will polish your teeth to remove stains. At some point during the procedure, the dentist will also examine your mouth for any signs of cavities or gum disease. Regular cleanings help your teeth to look their best. They also help prevent tooth decay and gum disease by removing plaque and tartar buildup. This allows us to catch things early. Your hygienist may apply fluoride to your teeth after they have been cleaned and polished. Fluoride will help protect your teeth by making your teeth stronger, and help fight tooth decay. We recommend brushing for two minutes all surfaces of your teeth after every meal. 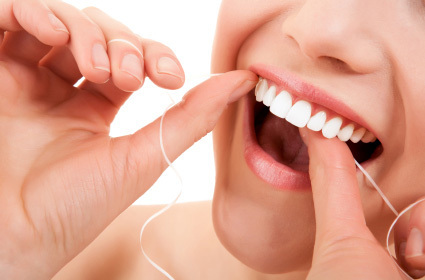 We also recommend using floss daily. It is the only way to clean effectively between your teeth. Some people also may need to incorporate rinses into their daily routine if advised by the Dentist. 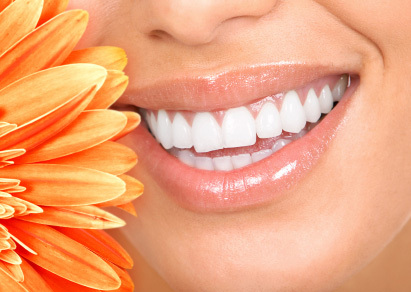 Cosmetic Dentistry Improves the Appearance of Your Teeth. This may include whitening your teeth; changing the shape of your teeth with enamel shaping, veneers, or crowns; wearing dentures to replace missing teeth; or covering imperfections. If you want a healthier-looking smile, cosmetic dentistry can help you achieve results beyond what brushing alone can do. Enamel shaping is when a dentist removes or contours a tooth's enamel to improve its appearance. This is often used to prepare teeth for bonding. The procedure is usually quick and painless, with instant results. Many of us feel that our smiles are more attractive when our teeth look white. Unfortunately, sodas, coffee, tea, red wine, and tobacco can leave ugly stains. To help you regain a bright white smile and to give you an added boost of self-confidence, we can fabricate custom at home bleaching trays. This allows you to use them to whiten your teeth and then later you can use the same trays to do touch ups to boost and maintain your white smile. Please contact us today to find out more about whitening. Sealants protect the chewing surfaces, deeper grooves, and pits on teeth from food particles and plaque. Sealants protect tooth structure from decay by "sealing" areas that can not be easily brushed or flossed. Sealants only take a few minutes to apply to the teeth. Sealants hold up well under the force of normal chewing and can last several years before a reapplication is needed. Some people have gum disease or periodontitis and need more then a regular cleaning. The goal of scaling and root planing, otherwise known as non-surgical periodontal therapy or root planing and curettage, is to remove the dental plaque, its products and calculus which cause inflammation. The inflammation causes pressure on the bone and then the bone shrinks away from the teeth. First we numb the side that we are going to work on. Typically we only do one side at a time. Then the hygienist can clean under the tissues while the patient is comfortable. Scaling and root planing is performed using different dental tools, including ultrasonic instruments and hand instruments, such as periodontal scalers and curettes. We advise all our patients to please eat, brush and take an anti-inflammatory (whatever you would take for a normal headache dose) two hours prior to your appointment. Helping you maintain a healthy smile. Periodontal maintenance is the procedure and protocol employed to clean and maintain the teeth and gums following a diagnosis and stabilization treatment of periodontal disease. Patients with periodontitis (gum disease) typically need more frequent cleanings and monitoring than people without periodontitis. Veneers are thin shells of tooth-colored material that are placed over the teeth. They are used to fill in gaps or cover imperfections such as stains, misshapen teeth, or crooked teeth. In order to make room for veneers, a thin layer of the tooth's enamel usually needs to be removed. Because of this, the procedure is usually irreversible. You might have to avoid certain foods and beverages after veneers are placed to keep from staining them. You must also be careful with veneers (in other words, don't eat jawbreakers or try to open a bottle with your teeth), because abusing your teeth can make them chip. A crown is a covering placed over a tooth. A crown is usually used to restore a tooth to its original size and shape, but crowns have other uses as well. They can be used to make teeth stronger, protect and support teeth with large fillings, protect weaker teeth from breaking, restore teeth that have been broken, and cover dental implants. A crown can also be used to cover discoloration or be an anchor for a bridge. Bonding is a tooth-colored filling material that is bonded to the surface of the tooth. This can be used to cover stains or fill in spaces between teeth. It can also be used to repair chips, cracks, broken teeth, and decay. If you're missing all of your teeth, or most of your teeth are in poor condition and need to be removed, you may need dentures. Dentures are false teeth worn over the gums to replace missing teeth. We can basically make three different kinds of dentures; temporary surgical dentures, permanent dentures and implant overdentures, depending upon your need. Temporary surgical dentures are fabricated before your teeth are removed so that you have teeth immediately after the extractions. You need to wear them for at least six months while your gums and bone heal from the extractions. There are several important benefits of a temporary surgical denture. First, you can smile and chew your food immediately after. Second, we use measurements of your preexisting teeth to select the proper shape and size of your new teeth. Third, we can duplicate where your teeth hit each other when you close your mouth. Lastly, they can also be used in the future if you have a problem with your permanent denture. Permanent dentures are fabricated after you have healed for at least six months from the last extraction. We make them using better materials then the temporary because the permanent denture is typically in service for ten years. Dentures after three to five years typically need to be relined, because the bones and tissues change shape over time. This causes the dentures to not fit as well. If the denture doesn't fit properly, it will cause the bone to shrink away faster. Implant overdenture is when we use implants under the denture to lock the dentures onto the implants. This gives a more secure feeling when laughing, talking and of course while chewing. There are different levels of implants. You can have something as simple as two implants on the bottom with ball and socket joints, or you can have multiple implants with a bar connecting them all together and the denture locks into place on the bar. This scenario gives the patient the closest thing to natural teeth because most of the support is from the bar, not the tissues. Partials are used to replace multiple missing teeth typically when you are missing teeth on both sides of the mouth in an arch. Partials are false teeth worn over the gums to replace missing teeth. They have clasps that attach to the remaining teeth to give them support. The advantages of partials are that they replace multiple teeth with a single appliance at the same time. They are easy to clean because they are removable. We can also add other teeth to them in the future if needed. Temporary surgical partial is used if you are missing teeth or some need to be extracted, we can fabricate the temporary surgical partial before we remove the bad teeth so that the patient leaves with teeth. We recommend wearing the temporary for a minimum of six months while the bone and gums heal from the extractions. They can also be used in the future if you have a problem with your permanent partial. Permanent partials are fabricated after you have healed for at least six months from the last extraction. We make them using better materials than the temporary because the permanent partial is typically in service for ten years. Partials usually need to be relined after three to five years. This is because the bone and tissues change shape over time, causing the partials to not fit as well as they used to. If the partial doesn't fit properly, it will cause the bone to shrink away faster and it can cause trauma to the supporting teeth. Dentures after three to five years typically need to be relined because the bones and tissues change shape over time. This causes the dentures not to fit as well as they did when you initially received them. They also need to be relined if you have lost a lot of weight. If the denture doesn't fit properly, that will cause the bone to shrink away faster. You should have us check your dentures and mouth for a cancer screening every year. If you have a cavity, you will usually need to get a filling. The dentist will give a local anesthetic to numb the area. The anesthetic will keep you from feeling any discomfort. During the procedure, the dentist will remove the decay from your tooth where the cavity is. You can choose which material the dentist uses to fill the void: amalgam, composite, or occasionally ceramic. Amalgam is made from a combination of metals and is usually silver in color. Amalgam is the strongest filling material used; because of this, it is often used on the back teeth where chewing pressure is greatest. The only downside is the silver color, which does not blend with the rest of the teeth. Composite is a tooth-colored material made from glass or quartz mixed with resin. Typically, composite does not last as long as amalgam, but it is more natural looking. Sometimes, a tooth has to be removed. When this is needed, the dentist will perform an extraction. During an extraction, the dentist will numb the area surrounding the tooth to be removed with a local anesthetic. The dentist will then remove the tooth. After the procedure, your dentist will advise you as to what you should do to help the area heal. Don't smoke, rinse your mouth vigorously, or drink through a straw for 24 hours after having an extraction. After that, only rinse your mouth gently and avoid cleaning the teeth next to the empty socket for a few days. Some bleeding is normal after an extraction, and it will usually go away in a few days. You will be provided with written instructions and extra gauze. If bleeding persists or is excessive, notify your dentist. Sometimes a bit more work is needed to give you the smile you want. If you are missing teeth, having trouble speaking or chewing, or are noticing strain when biting, bridges may be the ideal procedure to help make your mouth healthy and beautiful again. Bridges sometimes referred to as fixed partial dentures, literally bridge gaps between teeth by filling them with strong, natural-looking artificial teeth. Bridges are semi-permanent – they can only be removed by a dentist – and are comfortable and proven to strengthen teeth. Dental implants are dramatically changing the ways in which missing teeth can be replaced, and consequently, are having a tremendous impact on the lives of our patients. They are designed to provide a foundation for replacement teeth (think of them as artificial roots) which look, feel, and function like natural teeth. The person who has lost a tooth or multiple teeth regains the ability to eat virtually anything-- knowing that teeth appear natural and that soft tissue contours will be preserved. Dental implants also help to preserve the supporting bone structure. An attachment called an abutment (like a buildup for a crown) is then attached to the implant, which protrudes through the gums. These abutments provide stable anchors for the implant crown. Implants also help preserve facial structure--preventing bone loss that occurs when teeth are missing. After we place the appropriate abutment we then fabricate an implant crown that is cemented onto the abutment. Or for patients with loose dentures, we can also use implants to support a denture. We can make fancy ball and socket joints so that the denture would snap in. Sometimes we can fabricate a bar that connects multiple implants together so the denture is supported by the bar and not the soft tissues, thus giving the patient more chewing power and confidence because it will snap into place. A root canal is used to treat problems with the tooth's pulp (the soft inner core of the tooth). The pulp can sometimes get damaged if a tooth is broken, chipped, suffers trauma, or if it gets a deep cavity. If this happens, the pulp may get infected. A root canal is used to prevent an infection, or stop one before it gets worse. During the procedure, the diseased part of the pulp is removed, creating a "root canal". Then, the pulp chamber and root canal are cleaned, filled, and sealed. The dentist will usually place a buildup and a crown over the tooth after the procedure to protect the tooth.